No injuries were reported as both teams put in final practice sessions Friday in anticipation to Sunday’s Super Bowl LIII in Atlanta’s futuristic Mercedes-Benz Stadium. 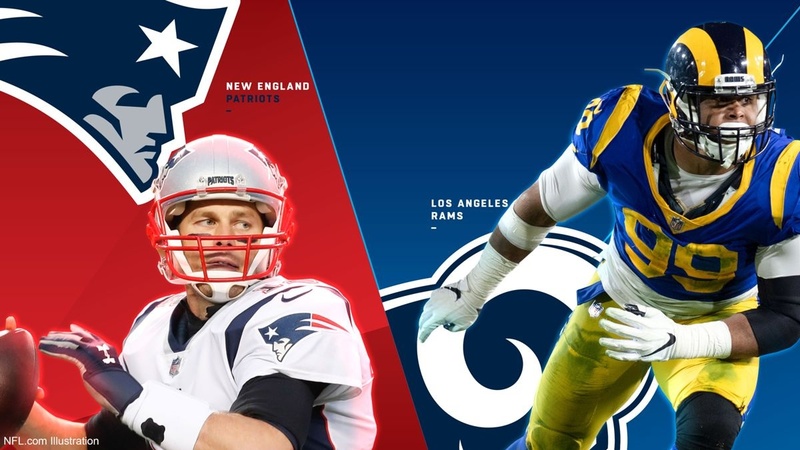 The Rams and Patriots are ready – no, make that, roaring – to go. The Patriots earned a spot in their third straight Super Bowl after winning the coin flip in overtime and marching down the field for the game-winning touchdown in a 37-3 victory over Kansas City in the AFC title game. There are many storylines going into this Super Bowl, including the youthfulness of the Rams coach. McVay is more than 30 years younger than New England coach Bill Belichick, making history as the youngest head coach ever in the NFL biggest game of the year. Not only is he the youngest head coach in the Super Bowl, but McVay, at age 33, is the youngest coach in the NFL. On the other side is a quarterback eight years older than McVay who wants to play until he’s 45. Brady, with a win, would become the only player in history to win six Super Bowls. He’s looking to do it 17 years after his first on in 2002. At 41, Brady will become the oldest quarterback ever to lift Lombardi Trophy if he wins another crown in an illustrious career. “When you’ve been in the position I’ve been in, you just count your blessings every day,” said Brady, playing in his ninth Super Bowl. Along the ride, enjoying Brady’s good fortunes has been 66-year-old Belichick, who has won five Super Bowls as a head coach and two more as an NFL assistant. While Belichick is twice the age of McVay, and the Patriots have a dynasty on the sport like no other, despite a controversial call that likely would have put the Saints in this year’s NFL final, Rams’ youthful quarterback Jared Goff points to the win over New Orleans in the deafening Superdome as a game real game changer. Announcers: Jim Nantz and Tony Romo in the booth, Tracy Wolfson and Evan Washburn on the sidelines. Atlanta-born R&B legend Gladys Knight has been tapped to sing the national anthem. Maroon 5 will headline the Pepsi Super Bowl LIII halftime show. On stage, Maroon 5 will be joined by rappers Travis Scott and Big Boi.